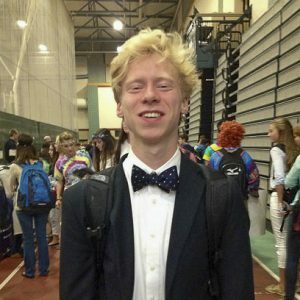 For this yearâ€™s annual Spirit Week, â€˜yacht dayâ€™ was selected as Tuesdayâ€™s spirit theme and it triggered a mild controversy among students about whether dressing for this theme shows Hiller pride due to the schoolâ€™s preppy reputation. For some students, this was seen as a great opportunity to really show some school spirit. For the rest, the day seemed pointless due to the popular trend in Vineyard Vines Clothing among the student population. When asked about his day-to-day attire, junior Jack Cote replied, â€œI try not to dress like this on a regular basis because itâ€™s kind of conformist and clichÃ©,â€ confirming the common preppiness within the student body. â€œI only own three articles of Vineyard Vines clothing- two shirts and a belt for Easter occasions,â€ said Cote. According to Junior Class President Austin Schofield, Yacht Day is â€œa fun day where Hopkinton kids donâ€™t have to dress differently. We usually dress really preppy.â€ Schofield said the reason this day was chosen is because â€œitâ€™s just really fun to dress really preppy when there is a bunch of hippies running around,â€ referring to the Senior spirit day. Though the opinions on â€˜yacht dayâ€™ were mixed, Spirit Week 2014 was another success and built excitement for Pep Rally and the big homecoming football game against Medfield last Friday.